A hypo-allergenic toner made with organic ingredients to remove dead skin cells while hydrating the skin. The natural formula is enriched with vitamin C and kombucha to detoxify and even out skin tone leaving you with soft, healthy looking skin. The Avalon Organics Hydrating Toner - 237ml product ethics are indicated below. To learn more about these product ethics and to see related products, follow the links below. Lovely fresh smelling toner, I have been using this after taking my makeup off in the evening and it leaves my skin feeling clean and clear. Have also just used this after a steam facial and it works really well with other products. Good value product, not a huge fan of the smell but other than that would recommend. 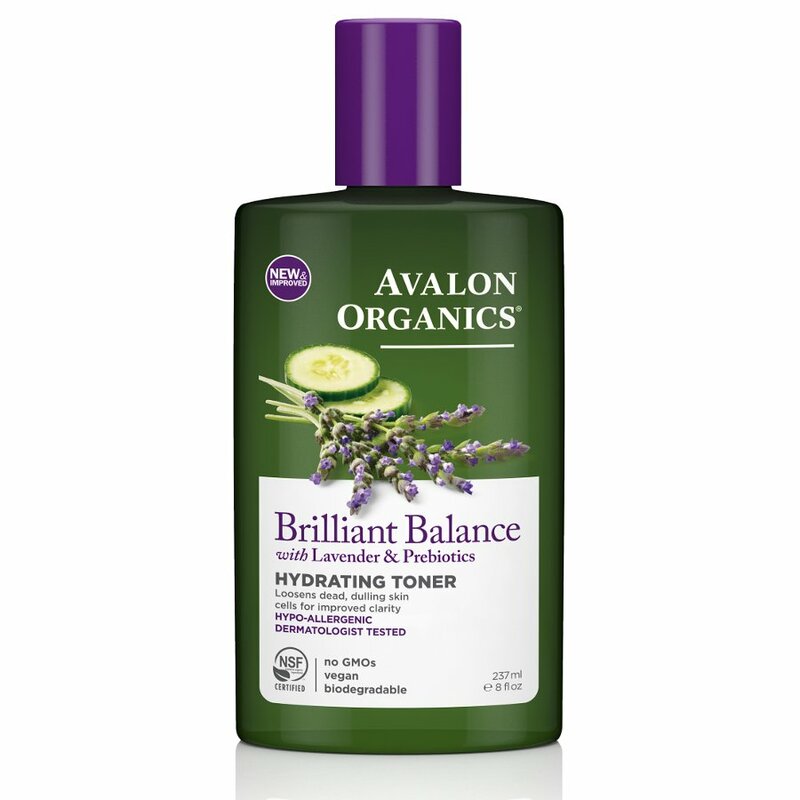 There are currently no questions to display about Avalon Organics Hydrating Toner - 237ml. Avalon Organics has been creating natural, effective skin care since 1994, inspired by organic agriculture and the ongoing struggle towards true sustainability. The company holds utmost respect for the world around us, which is why it uses 100% vegetarian ingredients in all products and will never test on animals. Avalon Organics cares for people and planet, which is why it strives towards environmentally friendly processes such as using recycled plastic for packaging and ensuring there are no harmful chemicals such as parabens, synthetic fragrances, artificial colours or harsh chemicals used in any products as to not irritate your skin. As of 2012, Avalon Organics reformulated the brand to in order to ensure every product is certified to the NSF/ANSI 305 Standard for Personal Care Products Containing Organic Ingredients or the USDA National Organic Programme, so you can be safe in the knowledge that this skin and body care range is kind to our planet.